The NPDES permit requires that the City updates its codes and regulations to make Low Impact Development (LID) the preferred and commonly-used approach to site development. The City worked with a stakeholder committee to develop the Low Impact Development Code. A public meeting was held April 10, 2014 to discuss the Low Impact Development Code update process and updates to the Public Works Design Manual. The presentation is available here: LID Code Update Public Meeting Presentation. LID technologies focus on reducing the quantity and improving the quality of stormwater runoff that enters the stormwater system. Examples of LID technologies include: retaining native vegetation, minimizing impervious surfaces, pervious pavement, vegetated (green) roofs, rain gardens and bioretention. Native forests in the Puget Sound lowlands intercept, store, clean and slowly convey stormwater through the vegetation, soil, and water bodies that support our ecosystems. As much as 50 percent of the stormwater entering these forests can be intercepted and evaporated through vegetation alone. As development occurs, the quantity of impervious surfaces (rooftops and roadways) in a watershed increases. This results in increased runoff to the City stormwater system. During large rainfall events, the capacity of the stormwater system may be exceeded resulting in flooding of City streets and some low lying areas. Pollutants on impervious surfaces are also washed into the stormwater system. More information on the use and design of LID technologies is available from the Puget Sound Partnership. Put that rainwater to good use! Use a rain barrel in your yard and garden to capture and reuse the free rainwater. 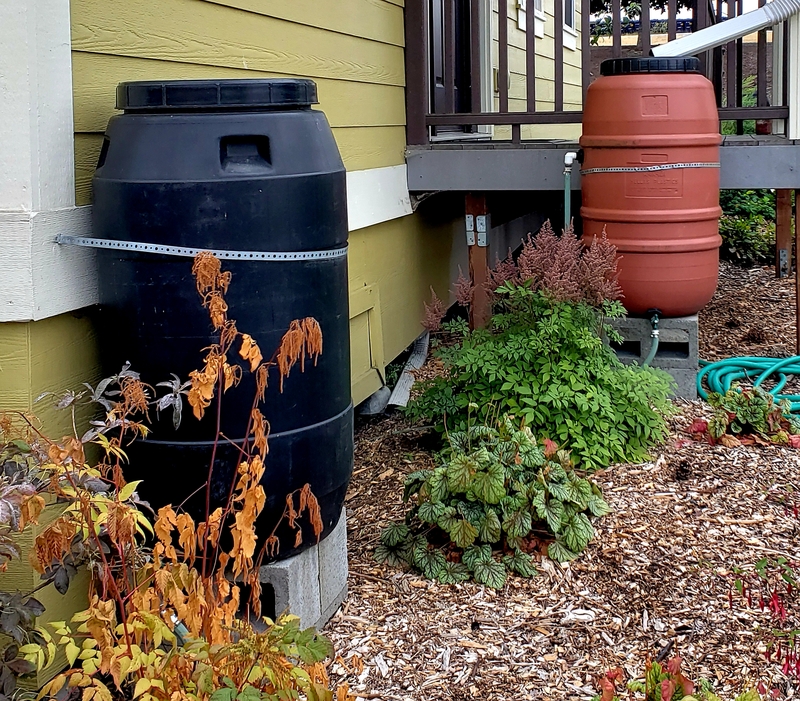 The City of Tacoma does not provide rain barrels or rebates for them but a search for rain barrel or cistern will provide a long list of vendors. If you would rather shop locally, be sure to check your local hardware or garden store. If you want to build a rain barrel, contact companies that use barrels or large containers when they store bulk liquid or food items. Large laundry, beverage and food processors are the kind of companies that work best. Some will charge you while others will gladly give it to you for free. Do not use containers that have been used for products toxic to plants and soil - including acids, and oils. Even if the containers have been completely rinsed, most plastics retain and emit the residues that are harmful to your garden - sometimes even sterilizing your soil. Get faucet attachments and downspout re-routing in the plumbing and home care section of your local hardware store. Once you have all the parts together, do not forget to install your barrels on a raised platform that can withstand the weight of the barrels filled with water (every gallon of water weighs about eight and a half pounds.) The added height of the raised platform will help you get the last drop out of your rain barrels. More information on rainwater collection is available through Ecology's website. 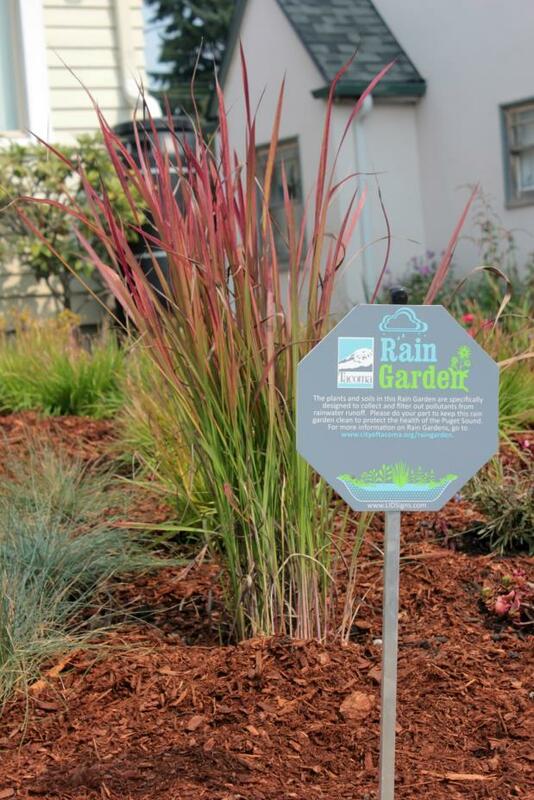 A rain garden is a garden designed to capture and soak up stormwater runoff from your roof or other impervious areas around your home like driveways or walkways. With suitable trees, shrubs, flowers and other plants, the garden works to soak up stormwater runoff into the ground and protect water quality. More information about rain gardens is available through our website or you can download the Rain Garden Handbook for Western Washington Homeowners. Trees and forests improve stream quality and watershed health by decreasing the amount of stormwater runoff and pollutants that reach our local waters. Trees and forests reduce stormwater runoff by capturing and storing rainfall in the canopy and releasing water into the atmosphere through evapotranspiration. In addition, tree roots and leaf litter facilitate soil conditions that promote the infiltration of rainwater into the soil. This helps to replenish our groundwater supply, reduce flooding during wet periods and maintain streamflow during dry periods. The presence of trees also helps to slow down and temporarily store runoff, which further promotes infiltration, and decreases flooding and erosion downstream. Trees and forests reduce pollutants by taking up nutrients and other pollutants from soils and water through their roots, and by transforming pollutants into less harmful substances. In addition to these stormwater benefits, trees provide a host of other benefits such as improved air quality, reduced air temperatures in summer, reduced heating and cooling costs, increased property values, habitat for wildlife, and recreation and aesthetic value. 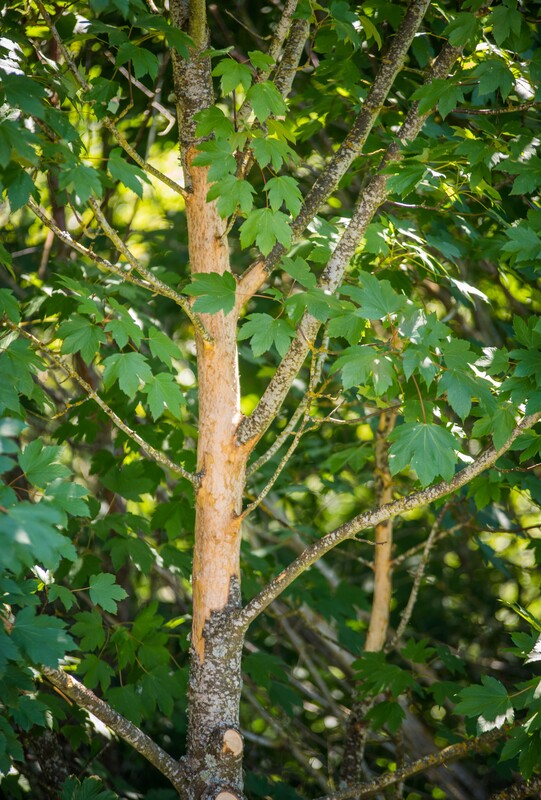 The City of Tacoma recognizes the important connection between forests and stormwater runoff and has included Urban Forestry in the City's Surface Water Management Program. To find out more information on the City’s Urban Forestry program, visit EverGreen Tacoma. Permeable pavement, also referred to as pervious or porous pavement is a special kind of pavement that allows the majority of rainwater to pass through it. Water that passes through pavement and infiltrates the soil reduces the need for surface water collection systems. The Your Green Neighborhood Pervious Street Project handout provides additional information on the importance of Green Road Corridors and how to care for them. Find out about the City of Tacoma's GreenRoads projects.